Academy of Creative Arts is a school where 20+ different forms of afterschool programs such as Art, Music, Indian & Western Dances, Theatre/Acting, Public Speaking, Photography, Henna, Yoga etc. are all taught under one roof in Burlington. Academy is formed by the husband wife duo Java and Hetal Joshi in pursuit of providing this exposure to their kids and in turn is now bringing the entire community together to create love for the arts. 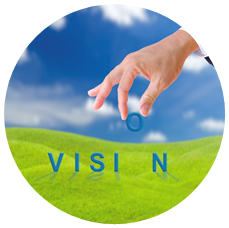 VISION: The vision for Academy of Creative Arts is to become an institution of choice for any and all kinds of creative and performing arts. Our focus is to provide the highest quality of education by some of the best in their field, all under one roof. We wish to bring the creative spirits and energy together under one roof for everyone’s benefit. We don’t want to be one of those institutions where instructors just go through motions and are out there just to do business, our focus would be high quality and personalized instruction. We as parents always want our kids to get the best and we want our Academy to be that place where only the best is being offered.